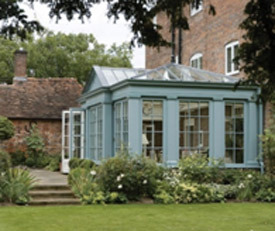 Timber conservatories make a fantastic addition to any home and should add value when you come to sell. This project outlines the key considerations when choosing your conservatory, whether you decide to build it yourself or you decide to get it built for you. Get great wooden conservatory ideas and make sure you understand the planning rules and regulations particular to conservatories. The natural beauty of an oak timber conservatory is hard to beat. If you are planning a conservatory (or perhaps an orangery) then you have to weigh up a wide range of factors before deciding on the one that best suits you. 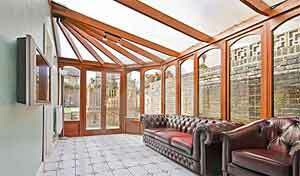 This project is all about how to choose the right timer framed conservatory and the factors you need to have in mind. The first key decision you need to make is which type of frame that you would like to your conservatory to have. Do I Have a Hardwood or UPVC Frame for my Conservatory? This is a tough decision. If you live in what is referred to as Designated Land, such as a conservation area, you might actually be restricted to only a certain type of conservatory frame, typically timber. Please see more about getting planning permission below. You own personal preference – Much of this decision is down to what you like! 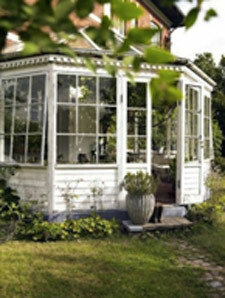 In general, people prefer a wood frame conservatory as it give a more ‘luxurious’ and warm feeling. Typically it is the cost that will deter people for opting for wood as it can be quite a bit more expensive that an equivalent UPVC conservatory. 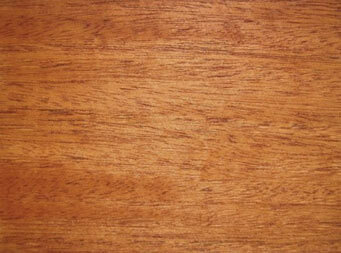 Sapele – This is another African hardwood. 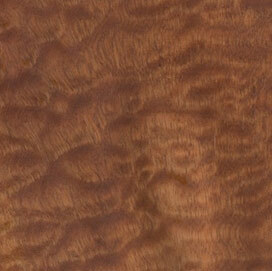 It is reddish brown with an interesting grain pattern. It can have a tendency to warp especially is seasoned too quickly. 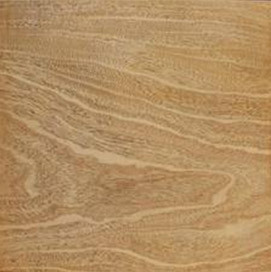 It is one of the cheaper hardwoods and often used as a face for internal doors. Painting – This will provide the most protection to your timber frame but it will obscure the natural beauty if the wood. Paints do not typically penetrate the surface of the wood, and if they do, they do not penetrate far. If water is to enter the wood it can cause the paint to peel or blister. It is important to follow the manufacturers’ guidelines closely to ensure that you get the most protection for your timber. It will be in an exposed environment, suffering the rain and sun which will weather it more than timber in more protected environments such as window frames. There are a wide range of ‘Built-it-yourself’ timber conservatory kits on the market. They vary widely in cost, size and complexity. They do make it easier to build a conservatory, but this is not an easy project – for more information about how to build a conservatory have a look at our DIY Conservatories project. One advantage of getting a conservatory build for you, or using a kit is that the manufacture will ensure that the wood has been properly seasoned before use. If you are building your own you must ensure that the timber has been seasoned as any warping of the wood could seriously damage your conservatory. 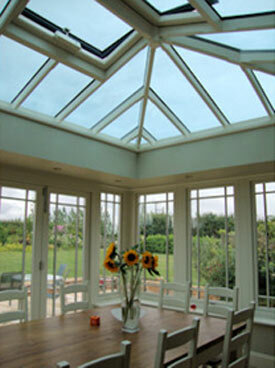 No matter what the material that your conservatory is built with it will have to comply with the current regulations. The good news is that conservatories, in almost all cases, are considered ‘Permitted Developments’ and subject to certain restrictions you should be able to go ahead without having to get formal planning. If your new conservatory will not cover more than half the garden, is less than 4m high and in the same style as the existing roof, it is likely to be acceptable. Please see the Governments planning portal for the fine details about what’s allowed. If there is an external door between the conservatory and the house, it’s a ground level, less than 30m sq and mostly glazed it will not be subject to building regulations. The electrics and the glazing will need to comply with the current building regulations. Please see here for information about building regulations for glazing. You can find out more about part P and electrical safety here. More so than ever it is really important to ensure that your timber is sourced from a sustainable source. This means that the trees will be replaced once they have been cut down and the use of the timber is not contributing to de-forestation. We recommend that if you are in doubt you should source your timber through a supplier recommended on the Forestry Commission website. 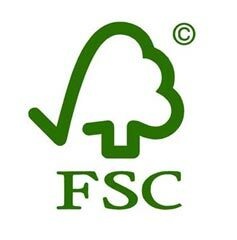 Or look out for the Forest Stewardship Council logo that proves that the supplier has managed their forests in a sustainable way. 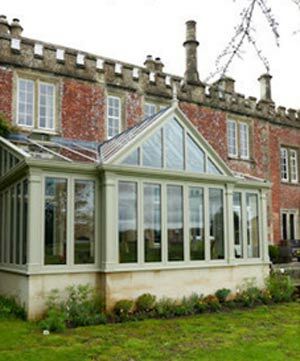 Examples of bespoke hardwood conservatories and orangeries can be seen in the images below. 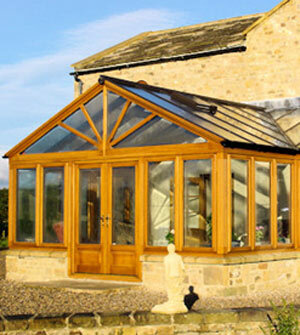 Many oak conservatories and orangeries can be made to measure to suit your house and garden. 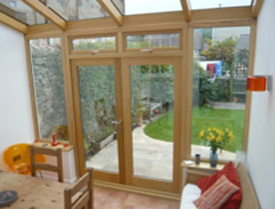 It is not only Oak that conservatories are available in but also a range of other hardwoods. You’ll also want to consider aspects such as the thermally efficient heat reflective glazing including the latest Celsius glass technology, high security locking, dwarf walls and so on.